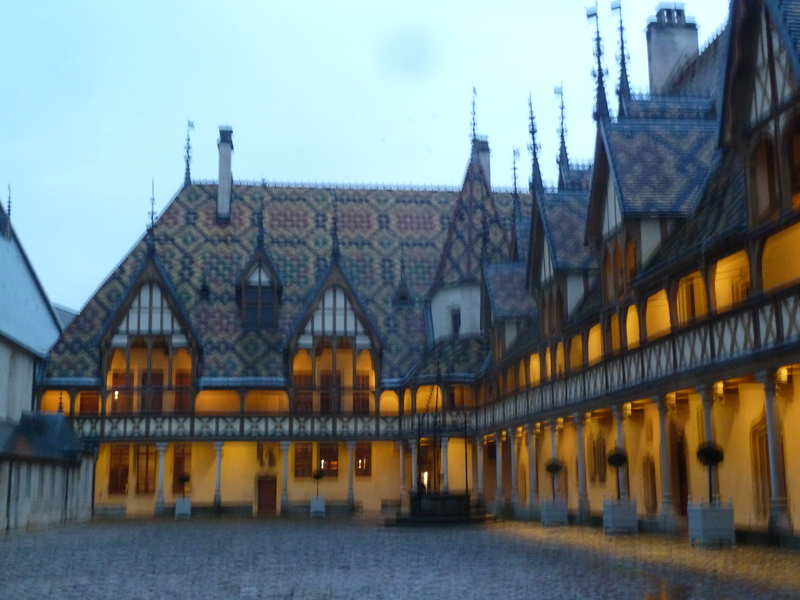 Last November I was fortunate enough to be in Beaune during the weekend of the auction of the Hospices de Beaune. 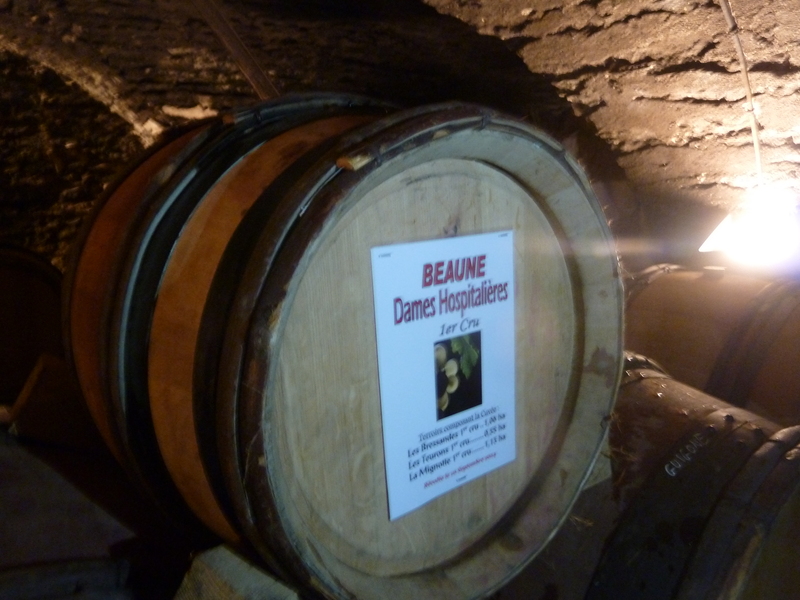 I had the chance to attend various events connected with this, including various cellar visits, tasting of the auction lots from the barrel at 8am with the locals, an impromptu informal tasting with Gina Gallo and Jean-Claude Boisset, and the Sunday evening ‘Diner de Gala aux Chandelles’. Quite an experience! 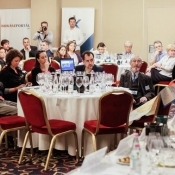 For the past couple of years, a similar event has been organised in Tokaj as part of the ‘Tokaj Spring’, taking the ‘Vente de Vins’ as its inspiration. This year will be the third occasion that the auction has been held. It will take place on the weekend of 24-26 April and offers a unique opportunity to sample some wines that are not on the open market, from dry white wines right up to 6 puttonyos aszú. So if you have some surplus cash and fancy investing in a barrel of Tokaj of your own, here is your chance! Of course, if you don’t have that much cash to splash around, you could always just take the opportunity to enjoy what should be a unique weekend in Tokaj. Start off on by travelling style and taking the ‘Tokaj Express’ to travel to Tokaj. A heritage train with the opportunity to try some wines even before you arrive in Tokaj. 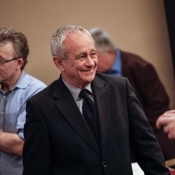 Take part in one of three guided tours led by winemakers, one of which will be led by Mr Szepsy himself. On Saturday you’ll have the opportunity (if you have registered, that is!) 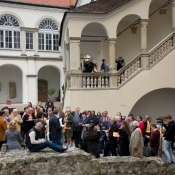 to taste the auction lots in Sárospatak castle, followed by a picnic lunch. It will initially be a blind tasting, so you won’t know whose wine you are trying. 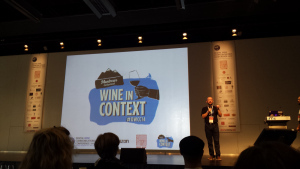 You’ll only find that out later, when there will be the oppportunity to retaste the wines. You can find a list of the auction lots on the Tokaji Bor Lovagrend website. I unexpectedly had the chance to try the Zsirai Betsek Furmint from the barrel when visiting their cellar in Mád on Saturday. A gala dinner dance will end the day and on Sunday you can visit participating producers. A portion of the income will go towards supporting the Tokaj wine regon – a UNESCO world heritage site; so definitely a worthy cause. 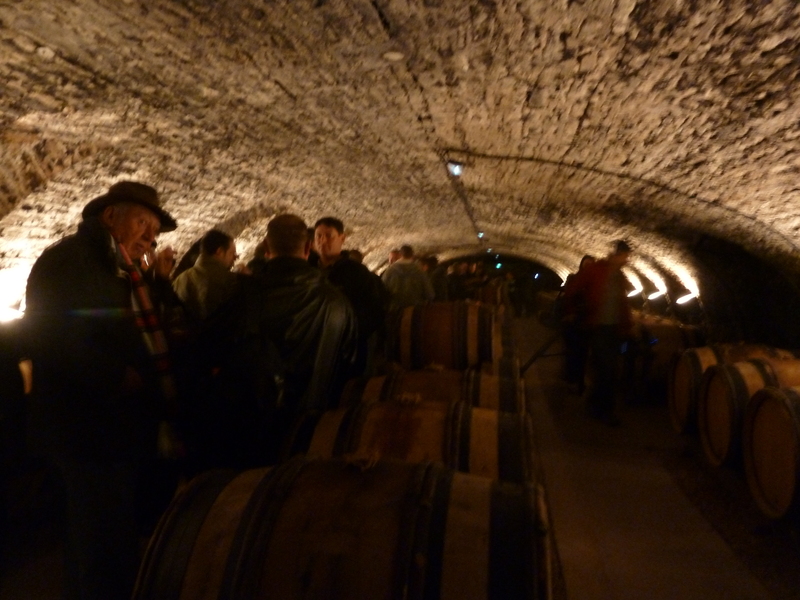 At Tokaj Grand last weekend, we were able to taste some of the wines auctioned in 2013 and 2014. If these are anything to go by, if you do head off to Tokaj, you are in for a treat. Going to a major wine-tasting event with still relatively blocked sinuses is not really conducive to sniffing and t asting ability. However, it is Furmint Február and this also means the annual Nagy Furmint Február Kóstoló held at the scenic Vajdahunyadvár in Városliget, so I gave it my best shot. 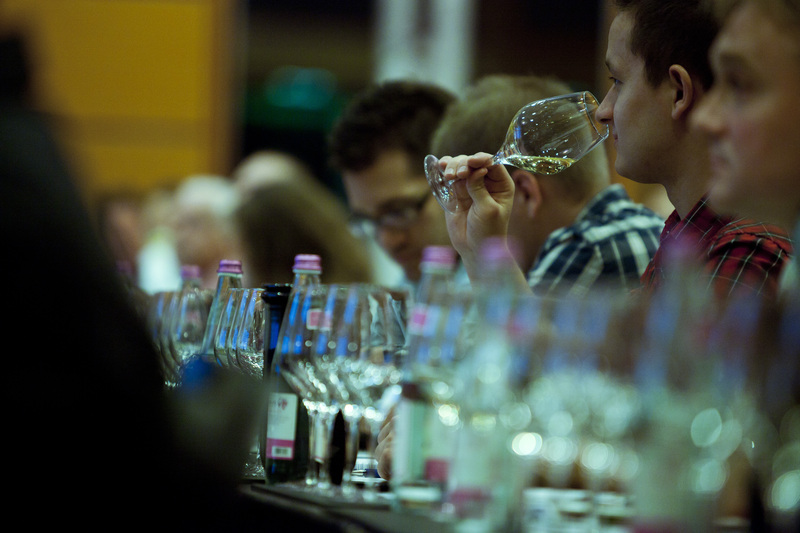 Seventy-nine producers from around Hungary and across the border were offering up their wines for our delectation. With five hours to taste, not much chance of trying them all, but I managed to taste a fair few – from around thirty producers, mostly from Tokaj or Somló, but also one or two from elsewhere, such as Eger. Dulled senses prevented me from being overly analytical, but still got a good impression of the quality and range of wines on offer. I didn’t really taste any of the sweet and aszús, concentrating mainly on the dry and off-dry offerings. A 2013 blend from Bott Frigyes, Super Granum, which included not only Furmint but also Hárslevelű and Juhfark. The Juhfark had been macerated on its skins for four days giving it notes reminiscent of szamorodni or orange wine. Delicious. A fruity, crisp mineral Kikelet 2013 Váti Furmint. A rich, fruity, honeyed off-dry 2009 Csontos Furmint from Bott Pince bursting with ripe stone fruit. The interestingly named 2013 Furmintage from Portius – a mouthful of minerally peach, quince and tinned pear. The concentrated and complex Demetervin Király Furmint 2013, produced exclusively from grapes harvested from the Király dülő’s upper slopes. 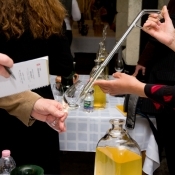 If you missed out on the ‘Grand Tasting’ and want to get stuck into some Furmint, there are still plenty of other Furmint-related events happening in February – http://www.furmintfebruar.hu/hu/programok/ (only in Hungarian – the English does not appear to work). As it is currently ’Furmint Februar’ here in Hungary, this is as good a time as any to introduce you to one of Hungary’s key white grape varieties. Although Olaszrizling is more widely planted, Furmint is perhaps more emblematic of the country’s wines. 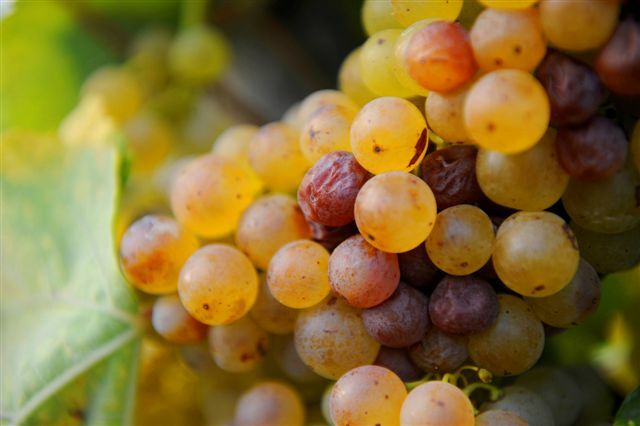 It is one of the main varieties to be found in Tokaj, which could be considered its homeland, and is usually one of the principle elements in the aszú and szamorodni wines produced in the region, along with Hárslevelű and Sárga Muskotály (Muscat blanc à petits grains). As well as Tokaj, it is typically cultivated in Somló and can be found in some areas around the Balaton and elsewhere in the country. Outside Hungary, Furmint is also grown across the border in Slovakia (previously part of the Hungarian Tokaj wine region) and in Slovenia, where it is known as Sipon. In the past, it was prevalent in the Austrian Burgenland, where it was used to make Ausbruch wines until it was pretty much abandoned in preference for Welschriesling, as Olaszrizling is known in the German-speaking world. Although it is enjoying a bit of a revival now. Here it is known as Zapfner. 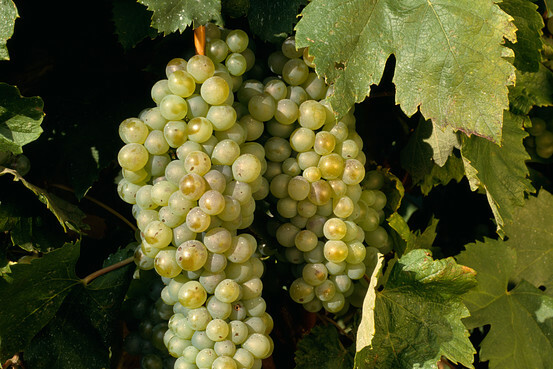 A late ripening grape variety, Furmint is capable of producing a wide range of complex sweet and dry wines. Serious acidity means that even the sweetest of late harvest and aszú wines are not cloying. 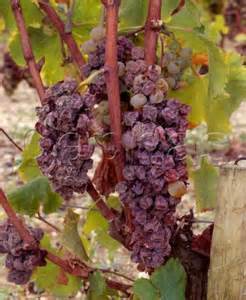 It is also susceptible to the development of botrytis cinerea, noble rot, producing the wonderful orange marmalade, apricot and marzipan flavours to be found in aszú wines. 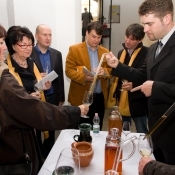 As the taste for sweet wines is waning, larger volumes of dry and off-dry Furmint are being produced. Typical flavours found in dry wines are pear, quince, lime peel and a steely smokiness.